Ben & Kirk were in the area of Beckenham which is located not far from our showroom. 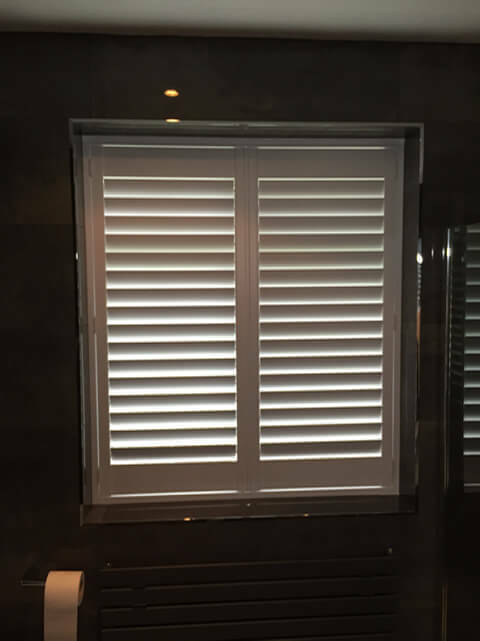 The client had recently fully renovated their bathroom and was looking for some of our fantastic shutters to further enhance the look of the new decor. The tiling of the bathroom has been kept very dark with the bath shower and sink areas standing out in white. The customer ended up deciding to also have the shutters in pure white to have them stand out against the tiling which looks stunning! 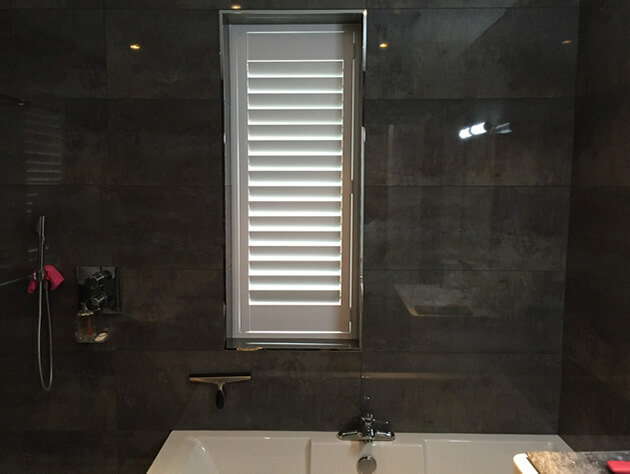 With these shutters we met the customers requirements in both looks and also his request for privacy throughout the bathroom, as well as allowing natural light in when needed. Even with the shutters closed the room is not darkened and they help to add some brightness to the dark decor. 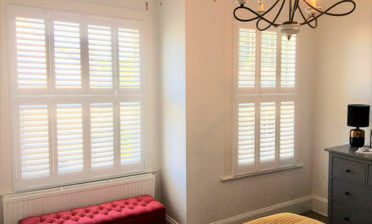 The shutters were created using MDF with a 4 sided deep plain L frame in a full height style on both windows. 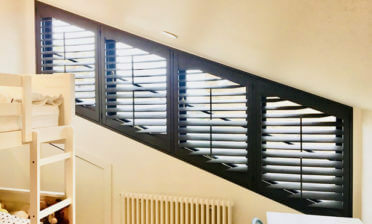 They feature 76mm louvres with silent tilt rods. 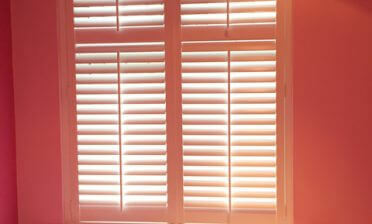 One of the benefits of silent tilt rods is that the shutters can still be adjusted without the need for a visible rod. This makes them look far more contemporary which is the look that the home owner was trying to achieve in the newly decorated room.